Finally, a way to organise all the Instagram photos we took and posted. This app called “My InstaAlbum” helps us to organise them by date (which we can select to have them in tiles or calendar view). They app also allows users to save the photos into the photo gallery or share them to social networks like Facebook, Twitter and Dropbox. Upon launching the app, there’s a brief instruction on how to use the app. In the next screen, we can log in to our respective social networks. Instagram is compulsory to log in as the app needs to retrieve all the photos and information we posted to Instagram before this. You can download and save the photos that you took in Instagram App. 1. Enjoy the photos in easy & various ways everywhere, everytime! 2. Change Twitter profile pic with wonderful photos . 3. 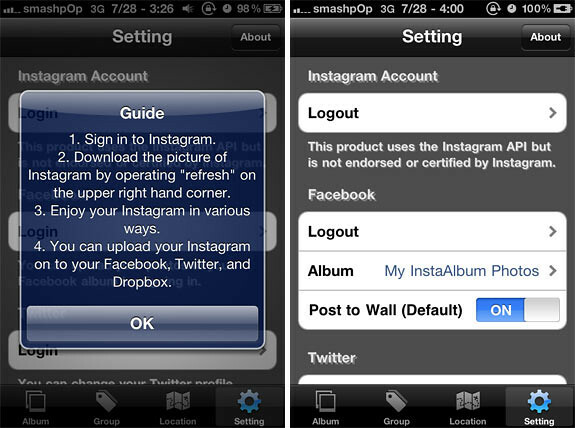 Upload Instagram photos to Dropbox or Facebook at once. 4. 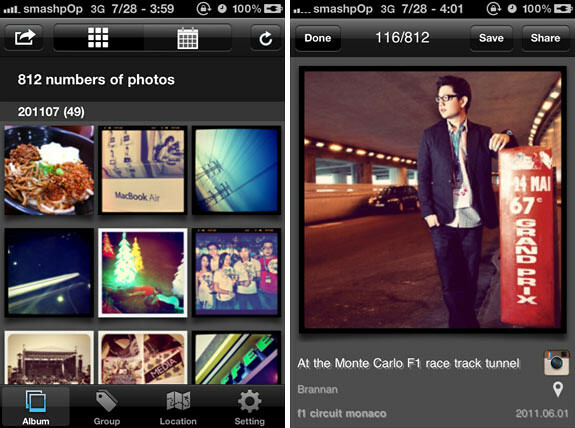 Share Instagram photos to Twitter or Facebook anywhere, any time! Tap the ‘Group’ tab to list out all your Instagrams in either ‘tags’, ‘place’ or according to ‘filter’. Users can also view where they uploaded Instagrams from the map.